This Roman Catholic Church is situated beside the Palais des Papes and it seats the Archbishop. It was in the second half of the 12th century that the cathedral building was built. The bell tower had collapsed in 1405 but was reconstructed again by 1425. The extension of the building was done during 1670 – 1672. The building was left unmaintained during Revolution, but was later restored and the interiors were filled with art. The most prominent feature is the glided Statue of Virgin Mary situated on top of the bell tower. Maintain peace in the chapel, especially during the masses. 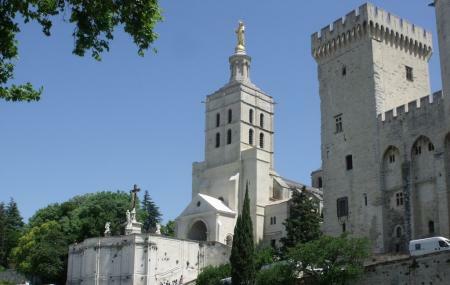 How popular is Avignon Cathedral? People normally club together Cinema Utopia and Le Palais Royal while planning their visit to Avignon Cathedral.